The Board of Directors of the Manager is committed to ensuring that the highest standards of corporate governance are practiced throughout the Manager and the Trust, as a fundamental part of its responsibility to protect and enhance Unitholders' value and the financial performance of the Trust. The Manager has general powers of management of the assets of the Trust. The Manager's main responsibility is to manage the Trust's assets and liabilities for the benefit of Unitholders and it will ensure that the business of the Trust is carried on and conducted in a proper and efficient manner, and will conduct all transactions with or for the Trust at arm's length. The Board is responsible for the overall corporate governance of the Manager including establishing goals for the management of the Trust and monitoring of the achievement of these goals. The Board is also responsible for the strategic business direction and risk management of the Trust. 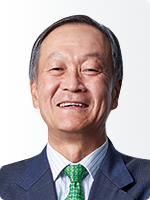 Mr Wang was appointed as a Director on 7 August 2009 and reprised the role as Chairman of the Manager on 16 January 2014. He was previously the Chairman from 7 August 2009 to 19 April 2012. Mr Wang is the founding Executive Chairman of AIMS Financial Group and an active participant in both the Australian and Chinese financial services industries. Established in 1991, AIMS Financial Group is a diversified financial services and investment group, active in the areas of mortgage lending, securitisation, investment banking, funds management, property investment, private equity, venture capital, stock broking and high-tech investment and a strategic investor in Sydney Stock Exchange. Mr Wang is also the Deputy Chairman of Sydney Stock Exchange. Mr Wang is the Executive Chairman of AIMS Fund Management Limited, the responsible entity for AIMS Property Securities Fund, a diversified real estate securities fund, which is listed on the Australian Securities Exchange and the Singapore Stock Exchange. Mr Wang is the President of the AustChina Finance & Investment Council. As the President of AustChina Finance & Investment Council, Mr Wang has been laying the foundation for the financial bridge between Australia and China for many years, closely following the development of the Chinese financial sector, at the same time building a professional team. Mr Wang is also a patron of the Taronga Foundation which is affiliated with the Taronga Zoo based in Sydney, Australia which operates wildlife conservation programs. Mr Ko Kheng Hwa was appointed as a Director on 21 January 2019 and was appointed as the Chairman of the Nominating and Remuneration Committee on 20 February 2019. He was redesignated as the Non-Executive Lead Independent Director on 29 March 2019. Mr Ko has more than 30 years of experience in leadership and international business. 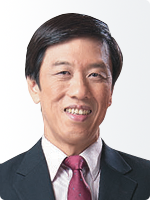 He has held leadership positions in various entities in the Singapore public sector, including serving as Managing Director of the Singapore Economic Development Board and as CEO of the JTC Corporation and the National Computer Board (now re-organised into the Government Technology Agency and the Infocomm Media Development Authority). In the business sector, he served as CEO of the Temasek-linked Singbridge International Singapore Pte Ltd and CEO of the Sustainable Development & Living Business Division of Keppel Corporation Ltd. He was Chairman of Pacific Internet Ltd, which was previously listed on the NASDAQ stock market, and Arcasia Land Pte Ltd (now known as Ascendas Land (Singapore) Pte Ltd). He also held the post of Lead Independent Director at iX Biopharma Ltd, a company listed on the Singapore Stock Exchange. Mr Ko held various leadership positions during his time in China, having served as board director of the China-incorporated joint venture companies that master-developed the Sino-Singapore Guangzhou Knowledge City and the Sino-Singapore Tianjin Eco-City. Mr Ko is currently Chairman of Envision Digital International Pte Ltd and Senior Advisor to the Envision Digital Group, as well as an Independent Director at Ho Bee Land Limited which is listed on the Singapore Stock Exchange. He also serves as Senior or Expert Advisor to several companies including the Boston Consulting Group International, Inc.
Mr Ko holds a Bachelor of Arts (Honours) in Civil Engineering from the University of Cambridge, a Master of Science in Management from the Massachusetts Institute of Technology, and completed the Advanced Management Program at the Harvard Business School. He is also a Fellow of The Institution of Engineers, Singapore and a Fellow of the Singapore Computer Society. Mr Ko was a President Scholar and was awarded the Public Administration Gold Medal by the Singapore Government. Mr Heng was appointed as a Director on 31 March 2017. 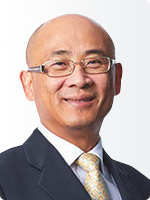 Mr Heng has over 31 years of investment management experience. 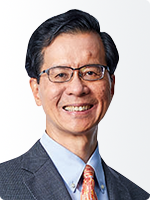 Before this appointment, Mr Heng held the position of Senior Vice President and Chief Investment Officer at NTUC Income Co-operative from 2009 until his retirement in 2015. Prior to that, Mr Heng served as the Chief Investment Officer of Manulife Asset Management (Singapore) Pte. 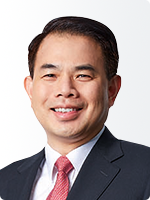 Ltd. and Straits Lion Asset Management Ltd..
Mr Chong was appointed as a Director on 1 October 2018 and the Chairman of the Audit, Risk and Compliance Committee on 29 March 2019. Mr Koh has over 22 years of experience in investment, corporate finance and asset management, of which more than 14 years are in direct real estate, covering investments, developments, asset management and real estate private equity in the Asia Pacific region.